A lot of photographers use an iPad as a great way of showing off their portfolio to potential clients. 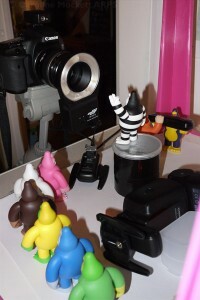 I know I do – and for storing images to show people when I am giving photographic tuition. More often than not, we want to show these in a specific order, and so prepare them with a numbering system in the file name. When Apple did a revision of the iOS software about 18 months ago, they screwed up the way the iPad sorted images – instead of the default being file name, it took the date created/taken from the file’s EXIF data and ordered the images by that. Only if it found the EXIF data to be exactly the same time did it then take into consideration the file name and sort by that. There was an easy work-around if you were a Mac user syncing with iPhoto, but not for us poor Windows users who could only sync images via iTunes. Eventually, after much hand-wringing from the users, Apple fixed it. Or so we thought. Fast forward to mid-November. A few weeks ago I got a new laptop running Windows 7 and copied my files from the old one across – including the “photos” folder where I choose what to sync to my iPad. In the process, I also upgraded iTunes (now 11) and (foolishly!) my iPad to iOS6. This is where my troubles began. The first time I tried syncing my iPad with the new laptop, it completely randomised the order of the photos in all my albums again! I was fuming – sorting by file name as the default preference is not rocket science – it’s a pretty straightforward and long-solved problem for any programmer worth their salt! The Apple forums are full of disgruntled users once more asking when this stupid bug will be fixed. Again, some users on Mac are having more success in finding a solution, but still nothing for those of us on Windows. All my images are processed before I put them onto my iPad. None are straight out of camera. I resize them, insert them into a keyline and caption template file and save the result from Photoshop. So there is never any date taken EXIF data associated with my image files. I tried using EXIF Pilot to update the dates but that didn’t work – as it won’t allow me to tweak the date created for the files. 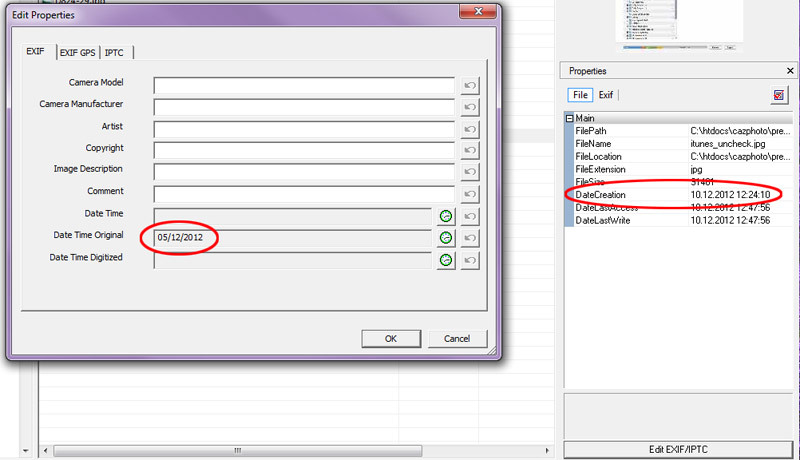 If I set the “Date Time Original” this does not seem to affect the file’s “Date Creation” field in the EXIF data. So I was left scratching my head as to what I could do to unravel this mess. 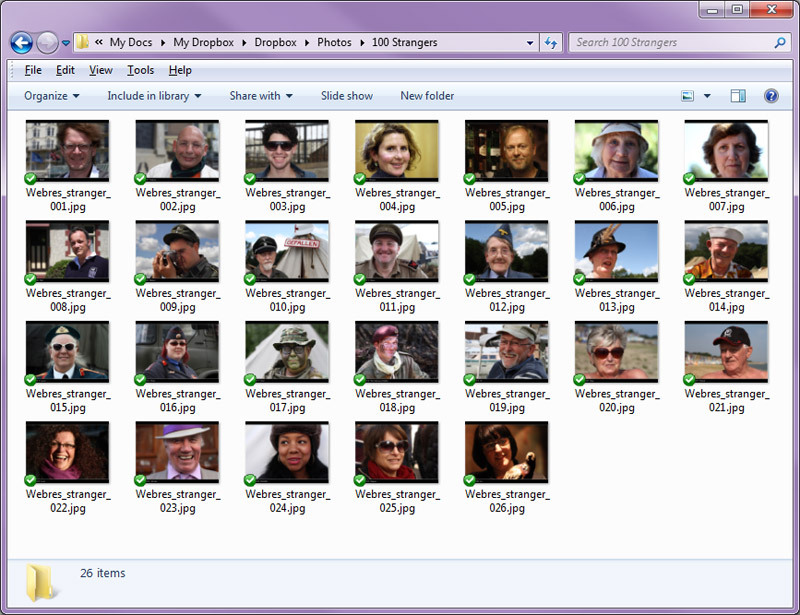 Go to the folder containing the folder you want to sync – in my case, /Photos contains /100 Strangers. Delete all the files in /100 Strangers. Re-Sync your iPad. 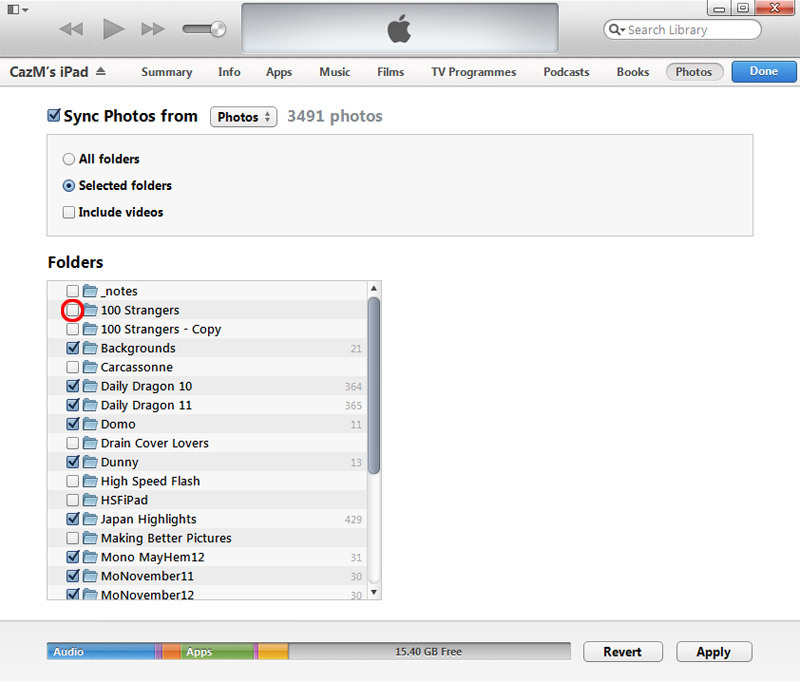 This step seems to be very important as it completely removes the album from the iPad. 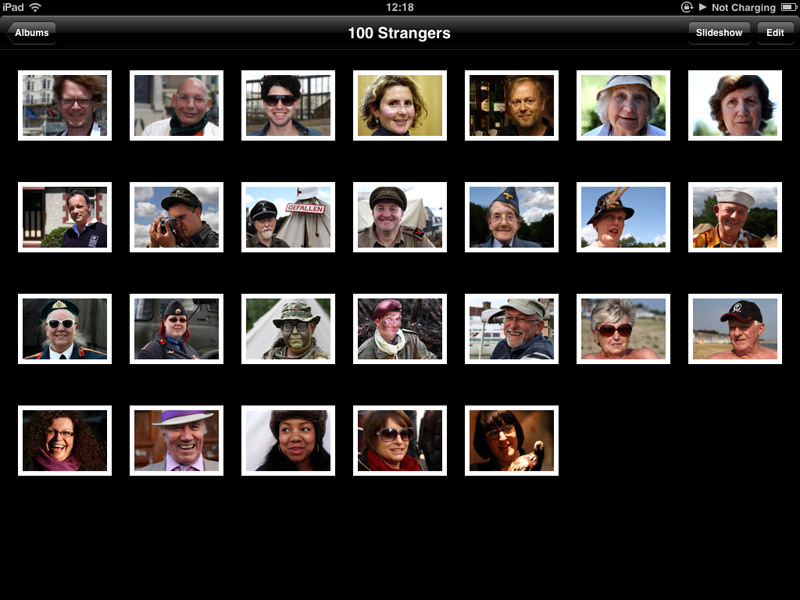 Re-check the 100 Strangers folder. Re-sync your iPad. This effectively syncs and “empty” folder but is also crucial – if you miss this step out, I found it all went wrong again. 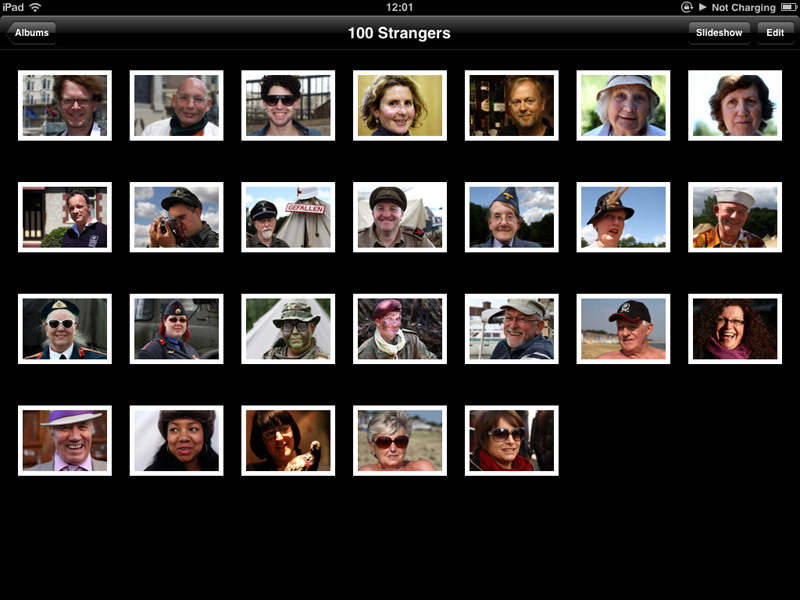 Go to your /100 Strangers – Copy folder and copy/paste each file into /100 Strangers – one at a time, in the correct order. Yes, I know this is incredibly tedious. But it’s the only way to “fool” Windows and the iPad into ordering correctly – because you have now guaranteed that the “Time Created” will be incremental on the files in this folder. If you copy a whole batch across, Windows sometimes makes each new file in a strange order, which will screw up what the iPad does in the destination album. Simply Moving the files back into your /100 Strangers folder doesn’t seem to work either, for much the same reason. Do a few at a time and re-sync the iPad to check progress. Repeat until you’ve copied the whole folder contents across once more. When you’re happy, delete the /100 Strangers – Copy folder. I found that my iPad sometimes got bored after repeated syncing and iTunes just showed “waiting for sync to start” message forever. Just unplug and replug the iPad and it should sort it out. Unlike some users, I have found that, once correct, the order seems to be properly preserved if you don’t alter the files, even after repeated sync operations. If you add more images to the folder at the end, all is fine. If you want to add something in the middle (maybe you just spotted a typo in that caption and update the file), you’ll have to remove and re-copy everything from after the file you want to insert. Have just bulk-added a load of alphabetically ordered images to my iPhone4 (running iOS5.1.1) and they have come out perfectly, in the correct order! So it’s definitely an issue with iOS6 for me. The Kens have the remote control! 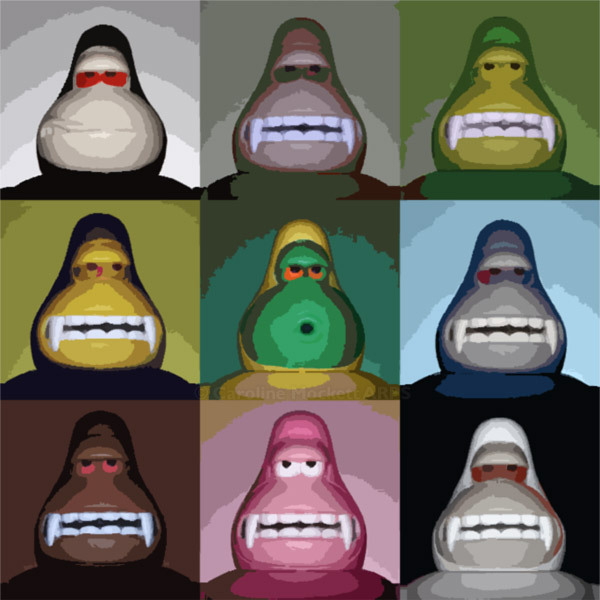 Today I had an idea for making an Andy Warhol-style image of my King Kens. The first job was to photograph nine of them in the same way, each in front of an appropriately-coloured background. This was more difficult than it sounds – you try wrangling nine monkeys, each with their own very strong opinions… it can get messy! 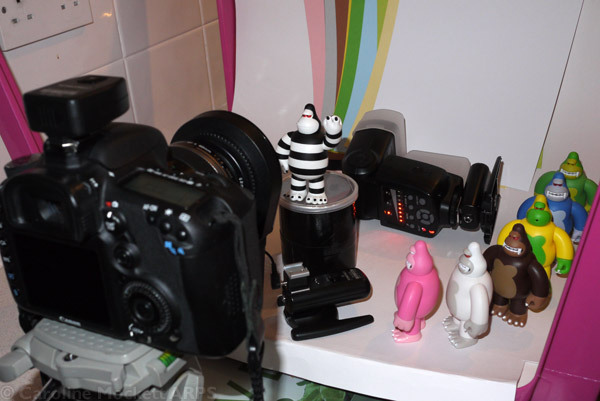 Having had my EOS 7D in for repair, I started shooting yesterday without doing a full check of the settings. It was only when I got home and downloaded the images that I realised the date had been reset to 01/01/2000 00:00:00 and reset itself again each time the camera was switched off/on. This might not matter to most, but due to the nature of my 365 project, I like to get the EXIF data on my files right. 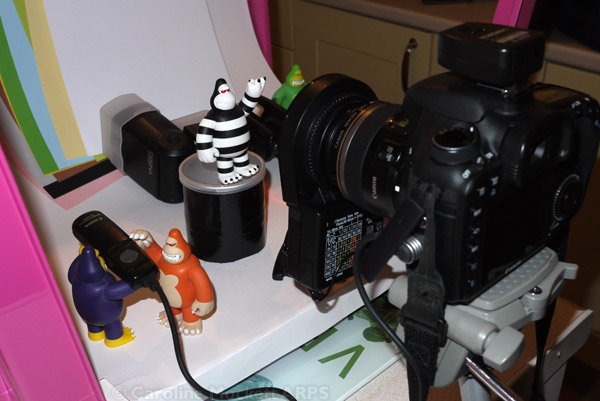 I’d never actually had to mess about with this stuff before, so a bit of asking around on Twitter and googling brought up EXIF Pilot – excellent freeware for tweaking the photo data on Windows. There are two ways to launch the editor. Firstly as a standalone programme. You get a navigation pane on the LHS where you can navigate to find your files, and EXIF info for each on the RHS (click for full sized version – left). Or, find the file with Windows explorer, and right-click > Properties (shown on right). This gets you to the usual Windows properties popup with an extra EXIF Pilot tab. There are also batch-editing capabilities, if you want to get really fancy – but that only comes in the paid-for Pro version. If you’re interested, here’s the link to download the various versions.